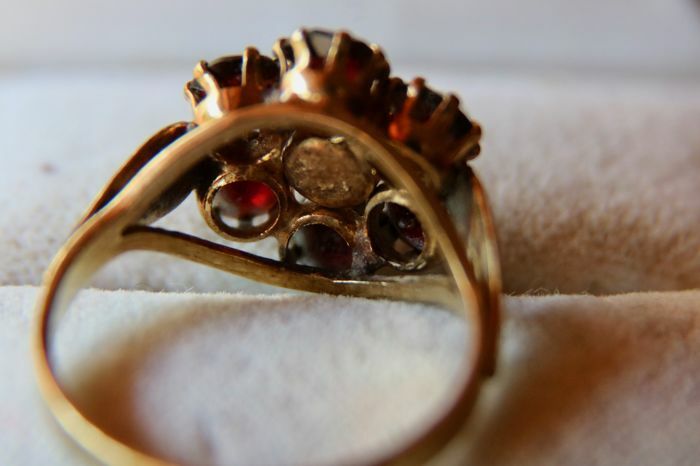 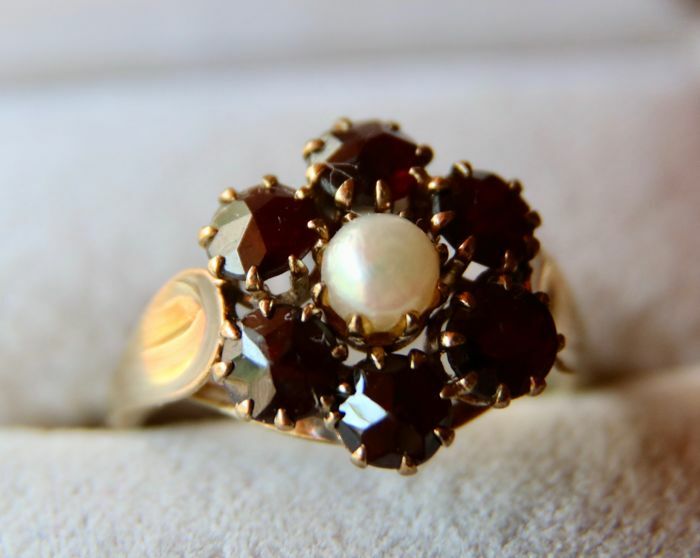 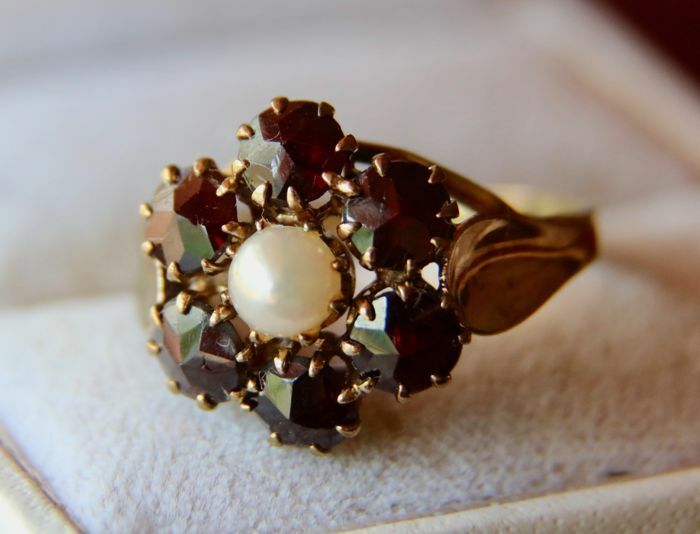 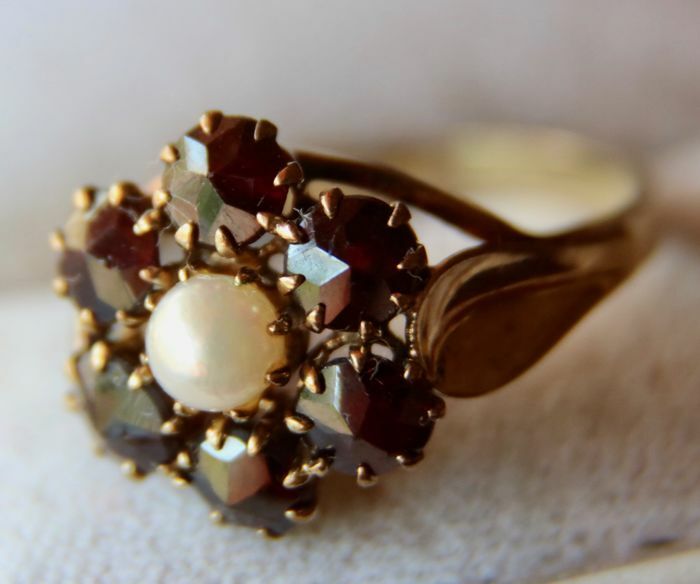 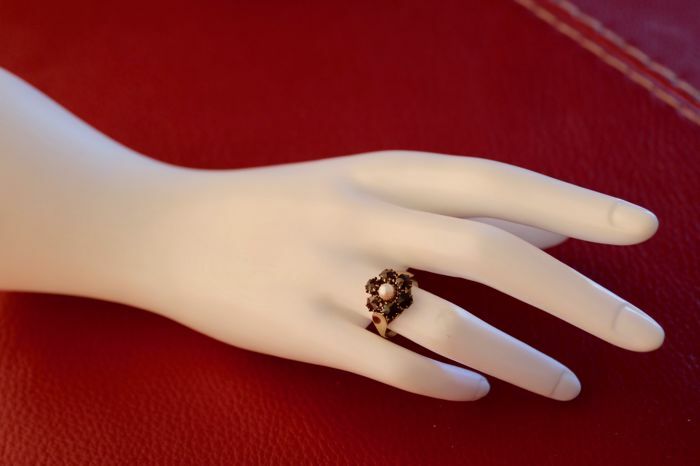 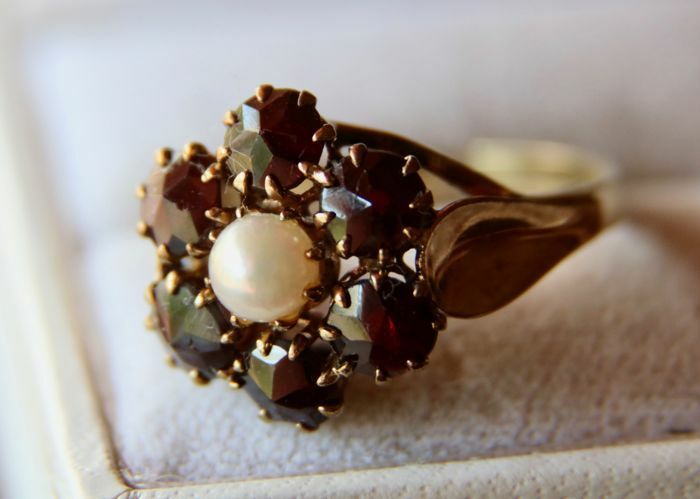 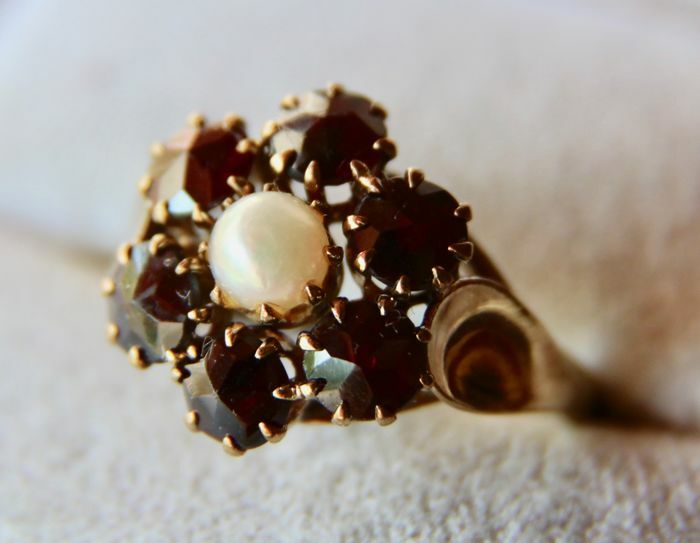 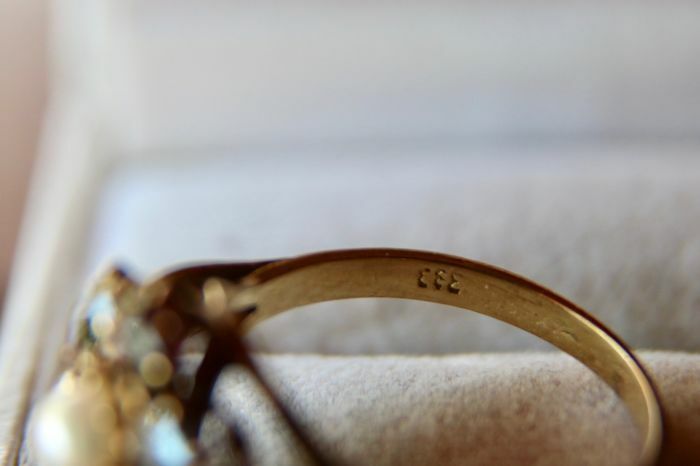 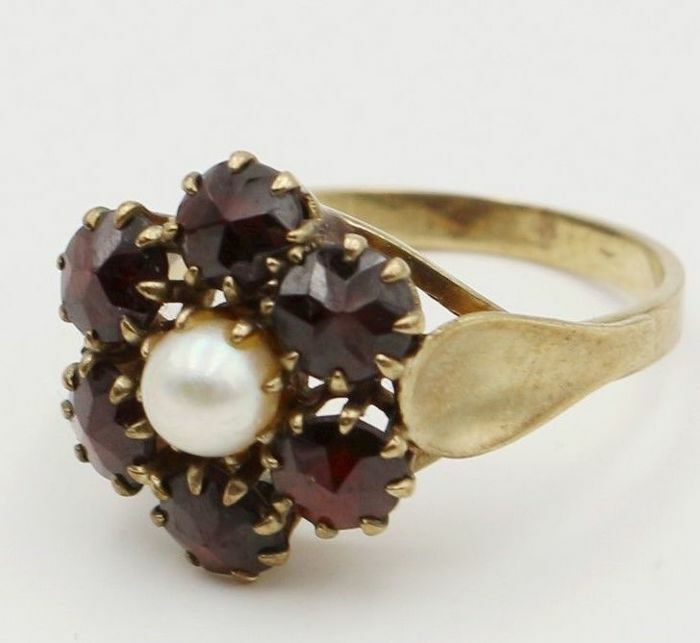 Antique elegant 8Kt gold ring from around 1910 Prague with a large ring head set with old cut Bohemian Garnets and a central Akoya pearl of4mm. 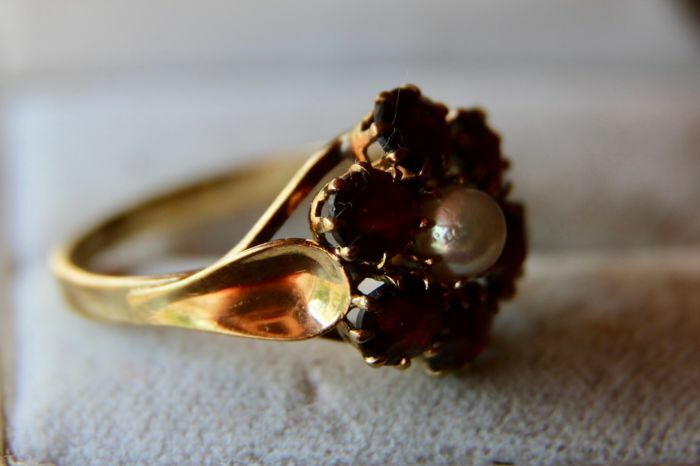 Legend says Garnets light up the night and protect their owners from nightmares, however these are only legends, but Garnets have long been carried by travelers to protect against accidents far from home. 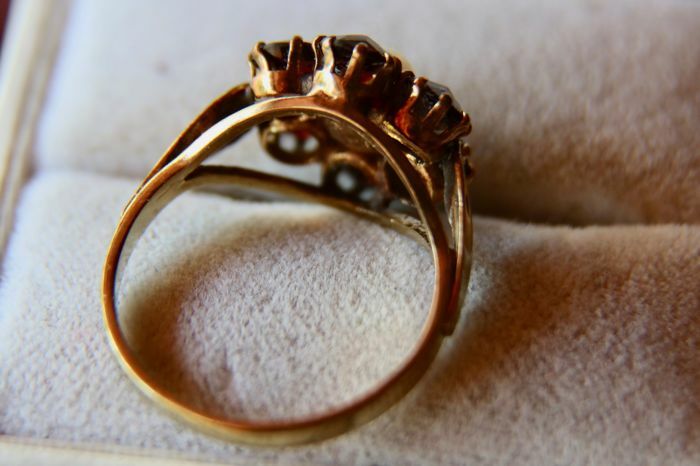 Please use the pictures to make an overall judgement of the ring as they serve as a part of the description,.